The Consulate of Mexico in McAllen recommends that people wanting to help victims of Tuesday’s earthquake donate online to the Mexican Red Cross, or Cruz Roja Mexicana. Donors will first be asked to create an account before selecting the cause, SISMO19/09/17, and donation amount in Mexican pesos. Donations can be made via credit card or PayPal by visiting cruzrojadonaciones.org; and donors will receive a receipt. The current exchange rate is 17.35 pesos per dollar. Rio Grande Valley residents who wish to make non-monetary donations, such as nonperishable food items and personal hygiene products, are asked to first call or visit the consulate to receive specific details in order to facilitate the customs process and avoid any complications. A man walks out of the door frame of a building that collapsed after an earthquake, in the Condesa neighborhood of Mexico City, Tuesday, Sept. 19, 2017. 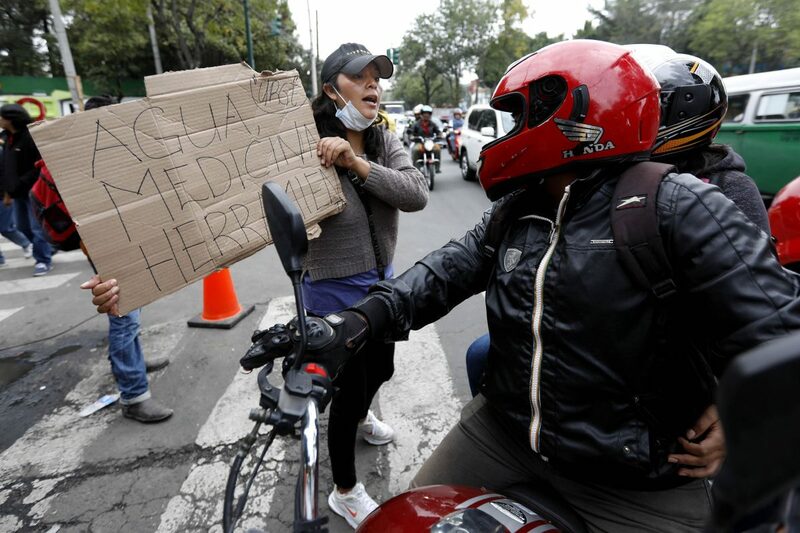 Throughout Mexico City, rescuer workers and residents dug through the rubble of collapsed buildings seeking survivors following a 7.1 magnitude quake. 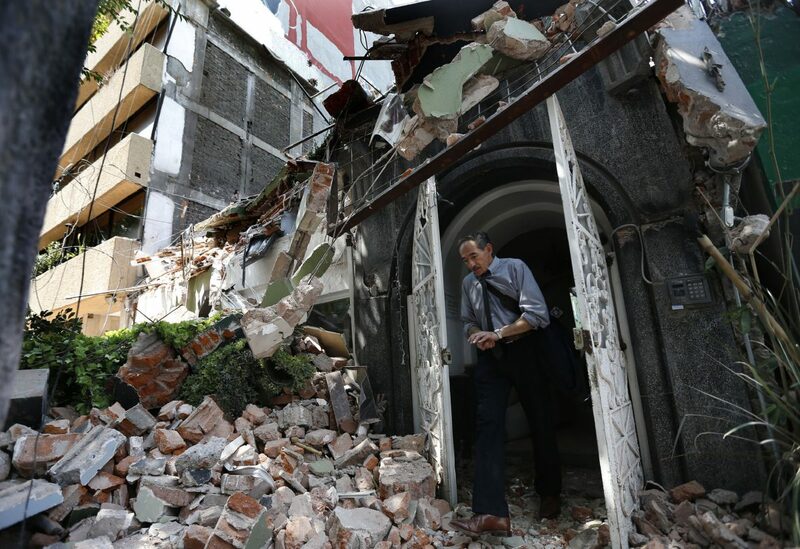 “We were very shocked; no one expected such an earthquake,” Guillermo Ordorica, consul general in McAllen, said. Ordorica thanked the Valley community for their donations, and said the area’s support reflects the close ties between the United States and Mexico. Open from 8 a.m. to 5 p.m., the Mexican Consulate is located at 600 S. Broadway St. in McAllen and can be reached at (956) 686-0243.